Readers of Hobbes have sought to account for differences between the arguments of his most influential texts. In De cive Hobbes (tepidly) endorsed apostolic structures of spiritual authority, while in Leviathan he at last unleashed his vehement anticlericalism. I argue that these disparities do not reflect an identifiable change in Hobbes’s ideas or principles over time. Rather, the political context in which Hobbes composed his treatises drastically altered over the course of his writing career, and the Hobbesian theoretical significance of those contextual developments best accounts for some ecclesiological inconsistencies across his oeuvre. 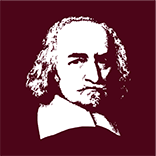 There was, throughout the brief and tumultuous period after the regicide during which Hobbes composed Leviathan, no sovereign power in England to whom he should defer, and consequently he acquired certain liberties that subjects in a civitas forgo. Those included the renewal of his right to wage a ‘war of pens’ against High Anglican episcopal power. Hobbes left a complicated legacy for the English Whigs. They thought that his Leviathan was all too powerful, but they found other elements in his thought more appealing – mostly his anticlericalism. Still, the precise relationship between Hobbes and the Whigs has remained underexplored, while some still argue that Hobbes was simply too much of an absolutist for the Whigs to rely on his political ideas. This article attempts to show that Hobbes was, in fact, recruited by proto- and early Whigs for their causes. It shows how Hobbesian ideas were used in the toleration debates of the 1660s and 1670s, and even in debates on human reason and liberty of conscience. Then it demonstrates how similar Hobbesian principles, and even phrases, were used subsequently in the formative years of Whiggism from the 1680s to the 1720s, by thinkers who were worried, as Hobbes was, about the political aspirations of the Church. By collecting a series of prominent thinkers who are associated with Whiggism and who engaged with Hobbes in various ways – including Buckingham, Marvell, Cavendish, Warren, Blount, Tindal, Trenchard and Gordon – this article shows that Hobbes was employed systematically in the service of Whig causes, such as limited toleration, civil religion and an opposition to religious persecution. Is Leviathan persuasive? One might think that the existence of the United States is sufficient refutation of Hobbes’s insistence that there can be only one source of law in a coherent political system; if federalism is one problem, the separation of powers is another. Hobbes was deeply hostile to judges who thought that their expertise in the Common Law gave them an authority equal or superior to the sovereign’s. On the other hand, one might think that the lumbering and lobbyist-ridden American system suggests that Hobbes was on to something even if we could not demonstrate it with the certainty of geometry. Above all, perhaps, his skepticism about rights and his prioritizing freedom from fear above all other freedoms still pose some awkward questions for us some 370 years later. Cette étude retrace les changements dans la manière dont Thomas Hobbes a théorisé la relation entre l’État et le souverain des Elements of Law au Leviathan, afin de montrer ce que le concept de représentation a apporté aux versions précédentes de sa théorie. Nous réévaluons également le statut de Hobbes comme père de la compréhension de la représentation politique par le biais d’une remise en question des arguments principaux qui ont été avancés pour justifier l’idée qu’il demeure encore pertinent aujourd’hui.